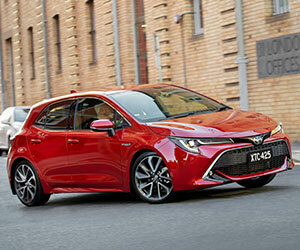 CMI Toyota are the experts when it comes to Hybrid vehicles and their smart technology. Here are some important facts to help you learn more about the award-winning Toyota Hybrid systems and vehicles. There is nothing complicated about Toyota Hybrid. 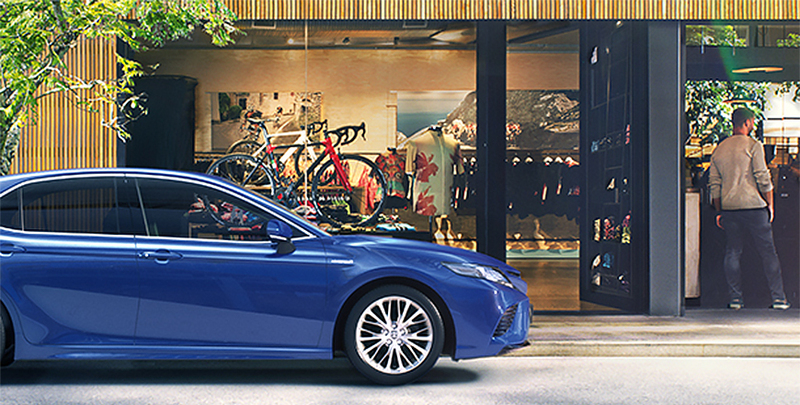 You can simply jump in, hit the start button and get going, with the Hybrid system taking care of the rest. What is the Toyota Hybrid System? Put simply, a hybrid system is two or more power sources working together in unison. The Toyota Hybrid system seamlessly integrates the high torque of a battery-powered electric motor with the efficient power of a petrol-driven combustion engine. 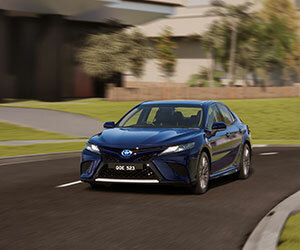 To maximise performance and efficiency as you drive, the Toyota Hybrid system senses the demand on the engine and automatically switches the car between petrol and electric power. Or combines both to power you ahead. Regular driving, braking and slowing down all recharge the Hybrid battery, so Toyota Hybrids are self-charging and never need plugging into a mains supply. How does the Toyota Hybrid System work? By seamlessly switching between electric and petrol power, or using a combination of both, Toyota Hybrid technology offers excellent motoring sustainability through low fuel consumption and efficient energy recycling – all without compromising your driving experience. Toyota Hybrid’s electric motor delivers torque from the moment your foot hits the accelerator so you’re always quick of the mark. Every Toyota Hybrid can run on pure battery power, with the petrol engine kicking in if more power is required for high acceleration or high speeds. At start up, the petrol engine waits silently, ready to come to life when required. 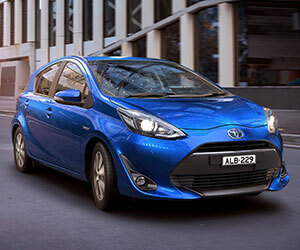 When travelling in slow moving traffic, only the electric motor will be active for whisper-quiet performance. 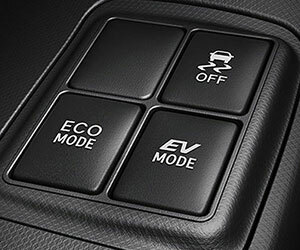 Toyota’s Smart Hybrid Technology is so clever that when you're driving in slow, stop-start traffic in 'EV' mode (Electric Vehicle) or stopped at the lights, which are both prime polluting situations for ordinary cars, Toyotas Hybrids effectively use zero fuel and create zero CO2 emissions. By driving a Toyota Hybrid you can be a part of something bigger and help contribute to a cleaner future. 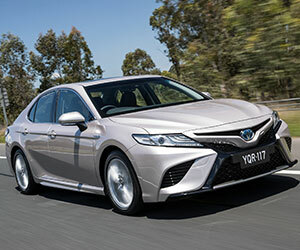 For Toyota, reducing their carbon footprint and minimising the all-round environmental impact of motoring has been a top priority for many years. It’s why Toyota engineers keep aiming for zero carbon emissions and zero car pollution, to help create a cleaner future. Q: How often do hybrid batteries need replacing? A: Toyota hybrid batteries have a long life and come with an 8-year or 160,000km warranty, whichever comes first. Q: Can I replace a Hybrid battery after the warranty period? 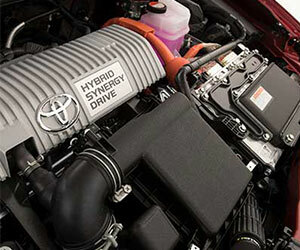 A: Yes - CMI Toyota can replace a hybrid battery and advise you of the cost. Q: Can the Hybrid battery be recycled? A: Yes - CMI Toyota can help recycle the Hybrid battery. 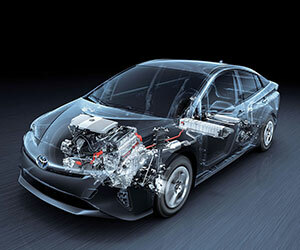 Q: How many batteries are used in a Toyota Hybrid vehicle? A: Two – a high voltage ‘traction battery’ and a 12-volt battery for auxiliary functions. Q: What happens if my Hybrid battery runs out of charge? A: A Toyota Hybrid battery will never run out of charge as it is self-charging. Q: Do I need to charge my car through a mains supply when the hybrid battery runs out of charge? A: No - as a Toyota Hybrid vehicle is self-charging, you will not need to charge your battery through mains supply. Q. Does it cost more to service my Hybrid? A: No – It costs about the same to service a Toyota Hybrid as it does a conventional Toyota. Q. Can a Hybrid run on electricity when it runs out of fuel? A: No – A Toyota Hybrid can operate in electric-only mode when petrol is in the tank, but it’s not designed to run without petrol.